Volume 245 - 1st printing. "Amazing Spider-Man: Book 19!" 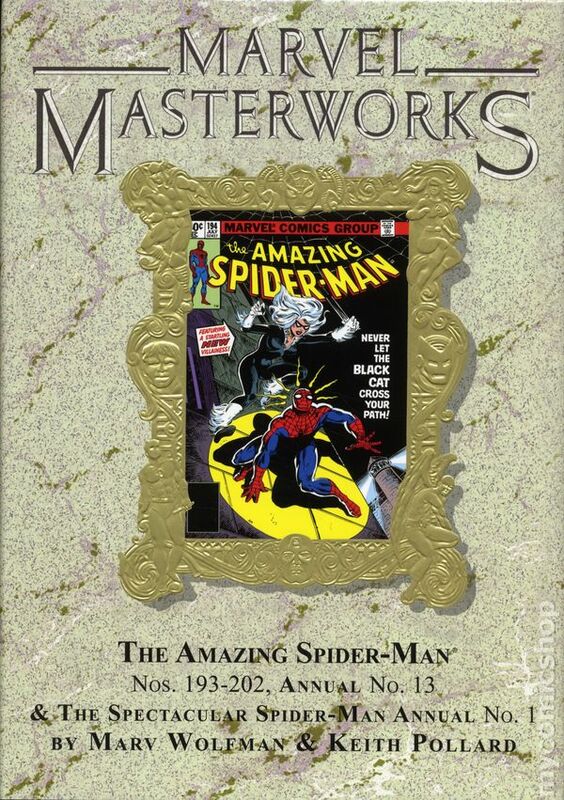 Collects Amazing Spider-Man (1963-1998 1st Series) #193-202 and ANNUAL #13, and Spectacular Spider-Man (1976-1998 1st Series) Annual #1. Written by Marv Wolfman and Bill Mantlo. Art by Keith Pollard, Al Milgrom, Sal Buscema, Rich Buckler and Jim Mooney. Cover by John Romita. The Amazing Spider-Man swings toward his historic 200th issue! Peter Parker has faced villain after villain during the course of his heroic career, but one moment will forever torment him despite all those victories: the death of his Uncle Ben. And now, our hero is struck low when not only does Aunt May die, but also the man who killed Uncle Ben returns! It's a saga that plumbs the emotional depths of Peter Parker's life like no other. As Spidey struggles through his grief, old villains and new faces emerge: The Kingpin returns, the Black Cat makes her first appearance, Mysterio weaves his illusions, Spidey faces Doc Ock in an Annual extravaganza, and a gang war forces a team-up with the Punisher! Hardcover, 296 pages, full color. All Ages NOTE: Limited to 845 copies. Cover price $75.00.